Tileprint is one of the top leading best showroom for Tiles, Faucets (taps) and Sanitary ware in Bangalore. 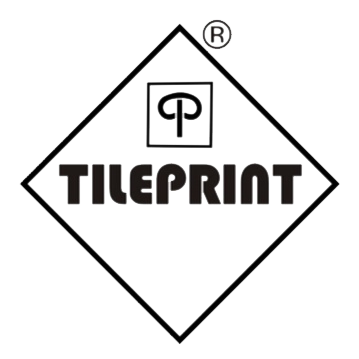 Tileprint is into retailing of Tiles, Faucets (taps) and Sanitary ware from 1993 and has more than thousands of more than satisfied customers. With brands like Jaquar, Parryware, Roca, Delta, Brizo, Franke, Rak, Cata, Carysil, Cera & Faber , Tileprint gets advantage of satisfying customers with world class products. "Tileprint believes that the path to success is achieved through a strong focus on beautiful display, and understanding client requirements in order to promote cost-effective and value for money products." Tileprint strongly believes in up keeping the commitments and serving customers with best product mix. With over 500 concepts in display we clearly are the biggest showroom for Bathroom Wall Tiles. With 25 Mock Bathrooms on display , Tileprint is the largest display showroom for Designer Bathroom Tiles and Floor tiles. Largest display of Bath fittings (faucets) with 50 plus concepts on display from brands like Jaquar , Delta , Brizo , Artize & Roca. Sanitaryware at its best with exclusive display of Roca , Jaquar & Artize brands. Choose from the best of Bathroom Wall tiles , Floor tiles , Ceramic tiles , Vitrified tiles , Taps , Faucets , Sanitary wares , Shower Panels , Bathtubs , Whirlpools , Glass Blocks , Pressure pumps , Body jets , Glass Motifs/murals , Bath Accessories , Wellness Products , Steam Units , Glass Bowls , Designer Tiles , Designer Sanitary ware, Designer Bath Fittings, Vanity Basins. "The only place where you can be alone , some place you can write , you can read , you can pray , you can cry , you can dance , you can do whatever you want , that only place is your BATHROOM. To make your bathrooms “wow bathrooms “; do visit us at the earliest." Our well trained staff will be more than happy to assist you to choose from the best of tiles, Faucets, Sanitary ware & other allied products. Come, visit us and add "wow" factor to your bathrooms, bedrooms and living spaces.